When we talk about the AirWolf, most people could remind an American television series that ran from 1984 until 1987, created by Donald P. Bellisario. The program centers on a high-tech military helicopter, code named AirWolf, and its crew as they undertake various missions, many involving espionage, with a Cold War theme. While here is another Air wolves, it’s the Helicopter Maritime Strike Squadron FOUR ZERO (HSM 40), located in Hangar 1552, Naval Station Mayport, Jacksonville, Florida. The squadron was established in 1985 which serves Helicopter Maritime Strike Wing Atlantic. Their mission is to provide quality training to Fleet Replacement Pilots and Aircrew so they may fight and win at sea. HSM-40 has a rich history and an awesome legacy, is the finest Fleet Replacement Squadron in Naval Aviation. The squadron’s mission is to provide quality training to MH-60R Fleet Replacement Pilots and Aircrew so they may fight and win at sea. Their personal challenge to you is to “Be the Best” in everything you do. The Airwolves of HSM-40 always do an outstanding job. 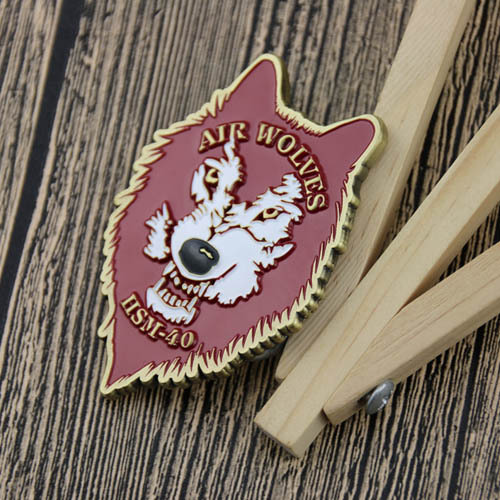 In every theater of operations, in every climate, and in every projection of force, there will be AIRWOLVES, past, present, and future, ready to serve. 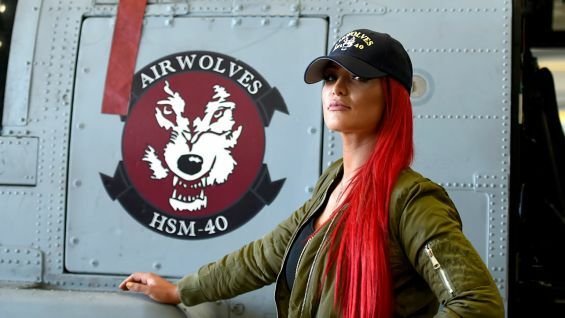 Welcome to the HSM-40 AIRWOLVES, if you want to serve for the US Navy. 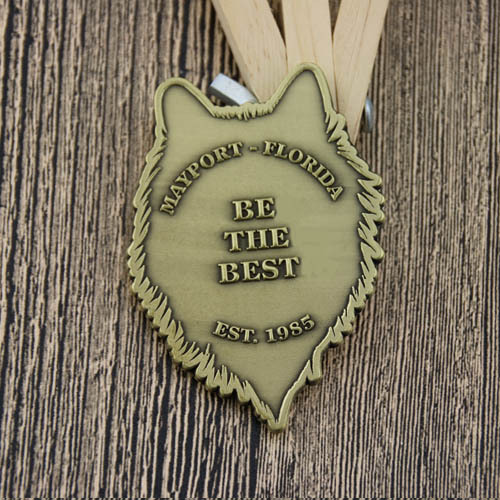 After service, you may receive the below award custom coins as souvenirs for your great performance and behavior. 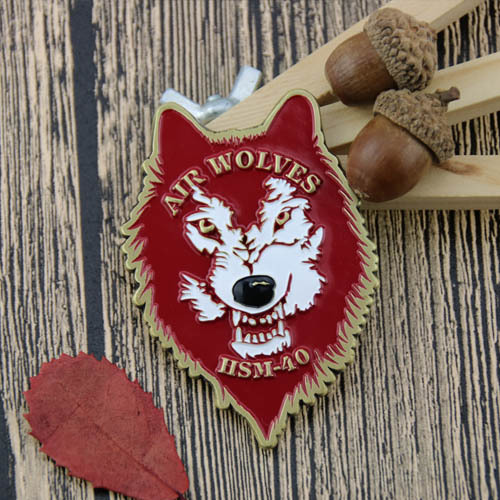 The challenge coins are designed as a vicious wolf head, filled with red enamel color on the surface. 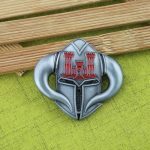 The wolf coin shows its wild- eyed and sharp teeth, presenting a brutal looking. It’s fierce but brave and loyalty. Polished with bronze finish makes it a highly presentation. Gift your Navy Army Group with this special token of honor made by GS-JJ.